Wondering What Hunter Foster is Doing? Did you know Mozart had a sister? Did you know she was also a musical prodigy? Maria Anna Nannerl Mozart was three years older than ‘Wolfie’ and a virtuoso in her own right. 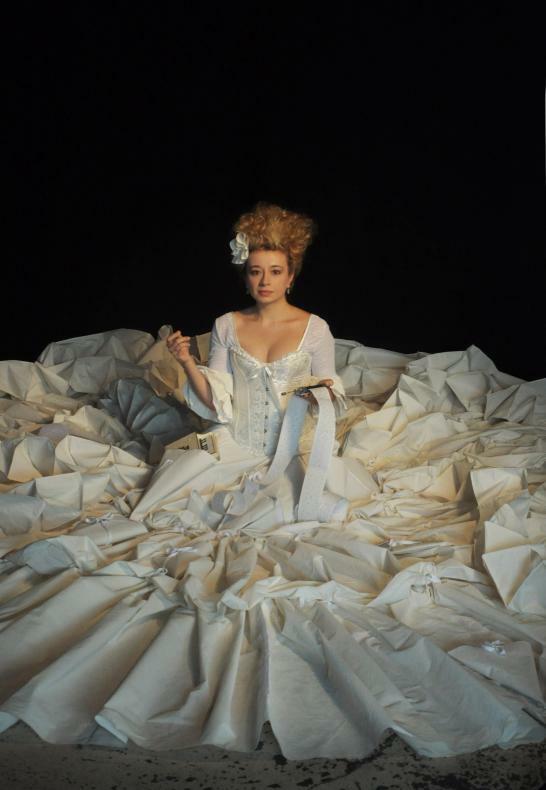 As part of the All for One Festival at Cherry Lane, Sylvia Milo writes and performs the true story using Nannerl’s own letters and those of her family to tell the tale of why the ‘other Mozart’ is not a household name. At the ages of 3 and 6, the two wunderkind travel all over Europe with their father for the better part of a decade playing for royalty and in some of the most famous venues throughout history. Wolfie has the personality and Nannerl the technique. She is beautiful. He is precocious. Letters spanning decades describe the descent of a female musical genius in a male dominated society. Remanded to Salsburg, Germany, their home, Nannerl is forced to master the acceptable societal skills such as embroidery, cooking and cleaning once she has become ‘a woman.’ But each day, she is also allowed to play her harpsichord. The massive amount of research Milo has done for this project is astounding. The facts of this woman’s life are truly fascinating and yet another example of female suppression that still affects modern society. The biggest stigma being ‘a woman can’t be a genius at her work and still attract a husband.’ If only that statement didn’t continue to haunt women today. This production, led by the fiercely talented director, Isaac Byrne, has a beautiful aesthetic. Magdalena Dabrowska has designed a Victorian-inspired dress that serves as the central image throughout the show and has been expertly crafted to hide small props while strewn with the family letters. This dress encompasses the entire stage and makes one of the most stunning stage pictures I’ve seen in years. The composition by Nathan Davis and Phyllis Chen is perfectly suggestive of the era while skewing it just enough to follow the strained psyche that is Nannerl. And a shout-out must be given to Courtney Bednarowski for the hairstying of Ms. Milo. Blonde trusses reaching to the heavens make for an overall seamless visual to tell this tale. Although at times, Milo’s performance is a bit too sweet and measured, the facts behind the life of Nannerl and the gorgeous design make this show one to see.